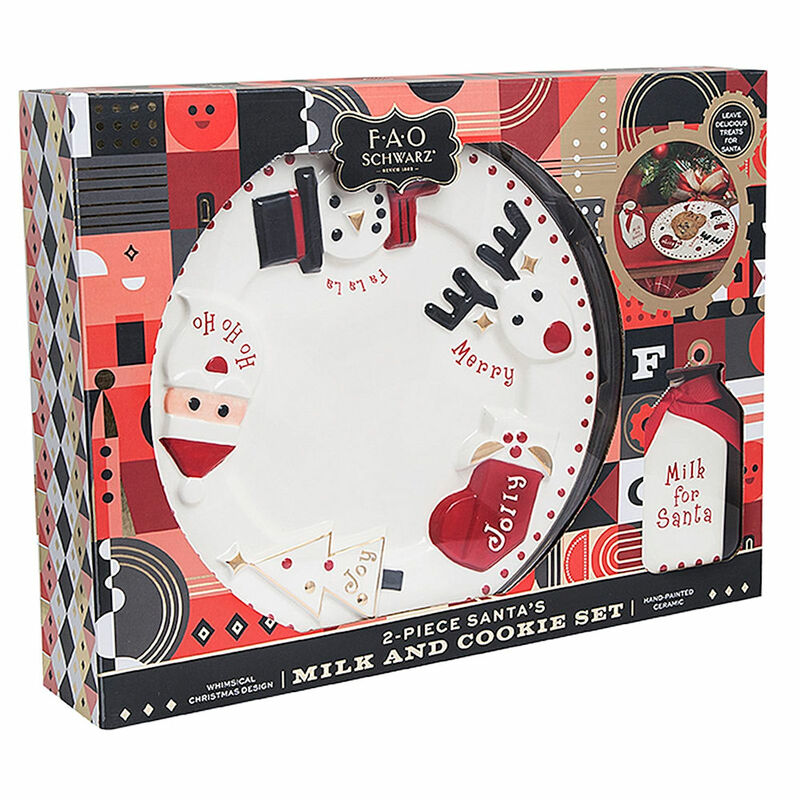 Create a fun Christmas family tradition in your home and make sure Santa and his reindeer have some snacks for their long journey with the Santa Milk and Cookies 2-Piece Set from FAO Schwarz. Made from a high quality hand painted ceramic that will be around for many Chrstmases to come. 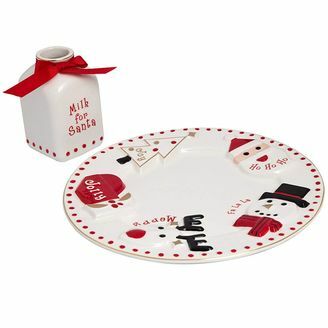 The two piece set comes with a small milk jug and a plate for cookies or carrots or anything else you think Santa and the reindeer may like to eat. 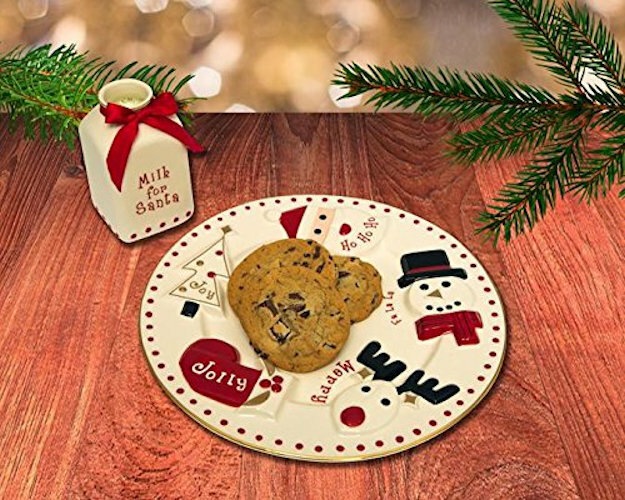 The plate has a whimsical design with a snowman, a reindeer, a stocking, a tree, and an image of Santa himself for a charming finish. White, red, black, and gold colouring for festive appeal. 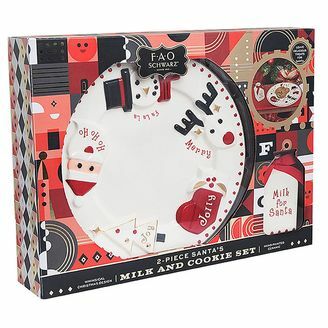 Beautifully boxed to make a gorgeous gift.